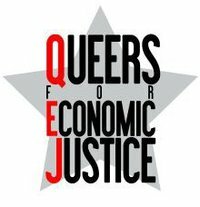 (New York City and Boston, MA) Queers for Economic Justice, together with Black and Pink, are pleased to announce a budding partnership. In the wake of CeCe McDonald’s prosecution and plea agreement, the connections between mass incarceration, LGBTQ communities of color, and economic disparities cannot be ignored. While CeCe is an outstanding individual, the circumstance of her arrest and prosecution are part of a systemic attack on LGBTQ peo ple, people of color, and poor people. Among the tragedies of CeCe’s case is that it is but one of hundreds of thousands each year. 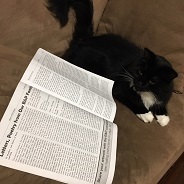 95% of all criminal convictions come from plea agreements, like CeCe’s. This reality is one of many points in the criminal punishment system that leads to the warehousing of Black and Brown people behind concrete and steel. It is in the fight to end this system of violence that Queers for Economic Justice is welcoming Black and Pink as a fiscally sponsored organization. Black and Pink’s statement of purpose describes them as, “an open family of LGBTQ prisoners and free world allies who support each other. Our work toward the abolition of the prison industrial complex is rooted in the experience of currently and formerly incarcerated people. 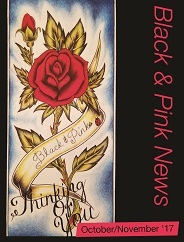 We are outraged by the specific violence of the prison industrial complex against LGBTQ people, and respond through advocacy, education, direct service, and organizing.” Black and Pink was started by a formerly incarcerated white queer man who began with the intention of simply staying in touch with the people he was locked up with. It has since grown to reach 1,300 LGBTQ prisoners across the United States each month with a prisoner written newsletter. The programming of Black and Pink is continuously transforming as requests come in and resources become available. This partnership with Queers for Economic Justice will strengthen Black and Pink’s capacity. This partnership will bring power and possibilities to both organizations and their missions. “It is thrilling to think of the potential this new relationship can give to both organizations,” Rev. Jason Lydon, founder of Black and Pink, said. “QEJ’s commitment to eliminating poverty and highlighting the voices of LGBTQ poor folks is directly parallel to the work we do at Black and Pink,” he continued. “As the United States penal system thrives on the targeting of poor communities, we are delighted to partner with Black and Pink,” stated Brandon Lacy Campos, Co-Executive Director of QEJ. There are 2.4 million people in United States prisons/jails, 5 million more on probation and parole; LGBTQ and HIV+ people are disproportionately impacted by criminalization, convictions, and incarceration. 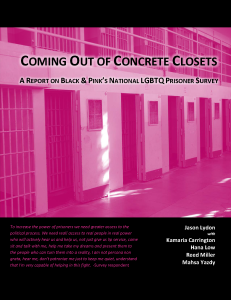 This partnership between Black and Pink and Queers for Economic Justice will lay the groundwork for more LGBTQ prisoner organizing, stronger advocacy toward abolition, expanded community education, and transformative direct service. Queers for Economic Justice is a progressive non-profit organization committed to promoting economic justice in a context of sexual and gender liberation. Our goal is to challenge and change the systems that create poverty and economic injustice in our communities, and to promote an economic system that embraces sexual and gender diversity. We are committed to the principle that access to social and economic resources is a fundamental right, and we work to create social and economic equity through grassroots organizing, public education, advocacy and research. We do this work because although poor queers have always been a part of both the gay rights and economic justice movements, they have been, and continue to be, largely invisible in both movements. This work will always be informed by the lived experiences and expressed needs of queer people in poverty. Black and Pink is an open family of LGBTQ prisoners and free world allies who support each other. Our work toward the abolition of the prison industrial complex is rooted in the experience of currently and formerly incarcerated people. We are outraged by the specific violence of the prison industrial complex against LGBTQ people, and respond through advocacy, education, direct service, and organizing.